Dimension: 17.25" x 12.75" x 5.5"
Description :Slimline laptop bag has a gusseted full-zip main compartment and is padded to accommodate a 17"
A trendy fashion essential for men who choose minimal and practical over sophisticated style is this Black Messenger Bag from SBR. Ensuring maximum hold of your necessities with its zip compartments, this messenger bag also takes pride in its outstanding leather material. 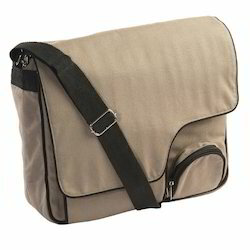 Featuring a zip closure, this messenger bag can be matched with any casual ensemble and carry it in comfort and style. 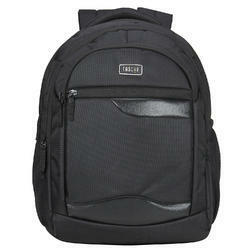 We are one of the well-distinguished companies in the market that is into offering Men's Laptop Hand Bag. One main compartment with laptop and iPad compartments inside. All over foam padded. Riva Bags N Luggage Pvt. Ltd.